Well, you won’t be able to catch it on THE DARK VAULT for five more years, but you can pick it up on DVD for an insanely low price from vendors like Amazon.com, FYE, K-Mart, Best Buy, Barnes & Noble, and DVD Planet (to name but a few reputable vendors selling it worldwide). 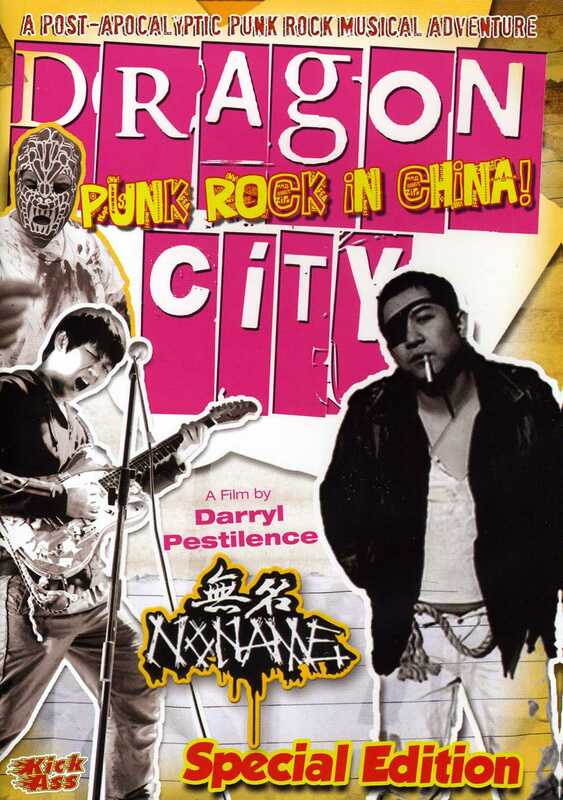 The disc is jam-packed with over 3 hours of live performances by mainland rockers NONAME, dozens music videos of cutting-edge, mainland Chinese punk rock, trailers, film shorts, director’s commentary, and the complete, uncut, digitally remastered DRAGON CITY itself. It also has cannibals, punk rock, murder, mayhem, comedy and even a little bit of a social message too. So, if you’re a cult movie fan who enjoys a movie that flips the middle finger to the tired Hollywood assembly line of cookie cutter clonery (versus the DARK VAULT’s supreme clonery) and are looking to give a gift that discerning movie fans will dig, why not give DRAGON CITY this holiday season? Hey, it makes a great gift to chap your enemies’ hides as well! You can keep abreast of DRAGON CITY-related news via it’s official Facebook page. ~ by darkvault on December 15, 2013.